Wolcott- Evelyn M. Steele, 86, passed away at Waterbury Hospital on March 15, 2019. She was the widow of David S. Steele. Evelyn was born in Waterbury, on February 23, 1933, daughter of the late Andrew and Blanche (Gudreau) Brillis. She retired as a dental assistant for Dr. C. Sasso, after many years. 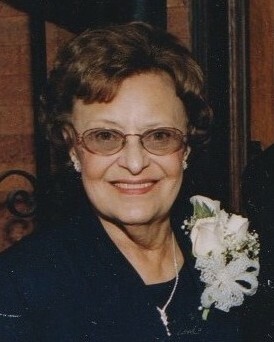 Evelyn enjoyed flower gardening, reading, and her grandchildren. Evelyn leaves her son, Gary Steele, and his wife, Maribeth, of Wolcott; her daughter, Linda LaFauci, and her husband, Eugene, of Woodbury; her grandchildren, Jeffrey Desrosiers; Ashley Steele; and Lisa Steele; her 2 sisters, Kathleen Barratt, of Prospect; and Marsha Leisring, and her husband, Sam, of Waterbury; and several nieces and nephews. Including her husband, David, Evelyn was predeceased by her son, Dennis; her stepbrother, Wayne; and stepsister, Rola. A funeral home service will be held at 11:00 a.m. on Friday, March 22 at Woodtick Memorial, 420 Woodtick Road, Wolcott. Calling hours will be held from 9:00 a.m. to 11:00 a.m. prior to the service. Burial will follow in New Pine Grove Cemetery. Memorial contributions may be made in Evelyn’s name to American Lung Association, 1661 Worcester Road, Suite 301, Framingham, MA 01701.